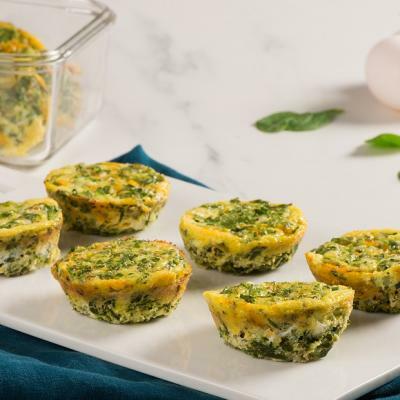 A high protein and portable breakfast that will take less than a minute when prepared in advance for busy mornings. Preheat oven to 400°F (200°C). Whisk eggs with mustard. In separate bowl, toss ham with cheese, green onion and tomato. 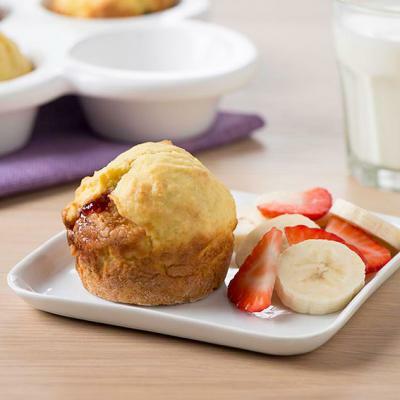 Divide evenly between the 24 cups of greased mini muffin tin. Pour egg mixture over top. Bake for 15 to 18 minutes or until eggs are set. Cool for 5 minutes. Run a thin knife around edge of each frittata to remove. Serve warm or cool completely. 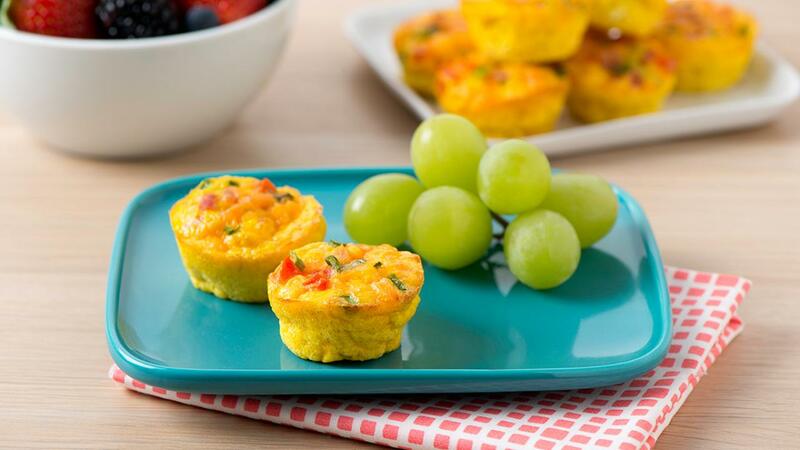 To freeze, stack frittatas between small pieces of parchment paper and then wrap in plastic wrap. 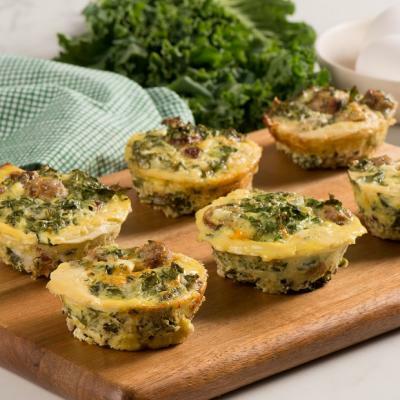 Frittatas can be stored in the freezer for up to 1 month. Thaw on counter for 20 minutes or unwrap and arrange on plate in single layer then microwave on High (100%) for 30 to 45 seconds or until heated through.